Diveintheblue is always on the lookout for people to join their team and be part of the success and fun of providing Scuba tuition. We do not charge for the tuition you receive. 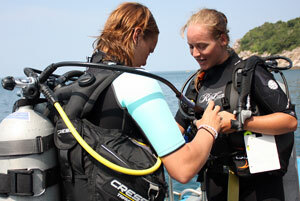 Contact 07852133037, or simon@diveintheblue.com to find out how we can get you involved.